Makes 12 Houses! 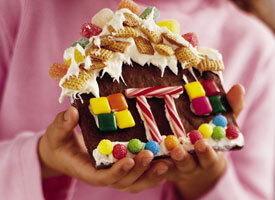 Start a tradition of making Gingerbread houses with family or friends. This is a great kid craft too! The decorating is fun and easy enough for kids of all ages! Recipe here.